with our 9th annual Fat Tuesday Bash! Make sure you don't miss this great event next year! On Tuesday, February 20, 2007 Fontaine's celebrated Fat Tuesday with our 7th annual Fat Tuesday Back Lot Bash -- Circus of the Bizarre. KINGSIZED with the Famous Dames A’flame Rocked the house!! Make sure you don't miss this great event next year! 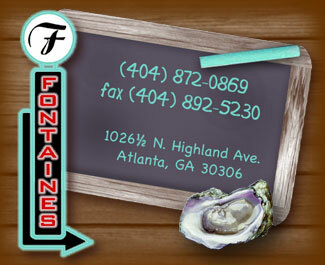 On Tuesday, February 28th, Fontaine's celebrated Fat Tuesday with our 6th annual VooDoo Madness Back-Lot Bash! Needless to say, a good time was had by all! Francine Reed rocked the house and beads were flying everywhere. Make sure you don't miss this great event next year! << Click on corner to view photo album.